The Bike Science Ladies took on the recent challenge at the National Triathlon Club relays at the National Water Sports Centre Nottinghamshire. The team consisted of Maria Powell, Claire Hann, Kelly Weall and Naomi Warr. Not all of the team were regulars at this distance but up for giving it a good go. The preparations started the night before when Kelly cooked for the team, there must have been something in the pasta as we had a great run on Saturday pm. The swim: The tag line that it’s just ‘organised chaos’ is so true as you have the craziness of the swim where you are trying to spot you team mate as they run out the water with (new for this year!) their swim hat still on. Maria first off, she agreed to brave the ‘washing machine’ leg of the swim, much to all the others relief. Maria whizzed round in a speedy 7.44 to tag the next team mate Kelly, Kelly battled through the pack to come in a respectable time of 8.53 which was more of what she was used to, unlike the recent Blithfield swim which ended up 250m longer than advertised! Naomi (who nearly forgot she was third! blonde moment but no time lost – thanks Claire! ), had a shock to the system as her last open water swim was 2.4 miles at Bolton Ironman only 3 weeks previous!, she battled round in – 8.54. Next in was Claire, or ’speedy’ as we renamed her, who absolutely stormed it round in a stunning time of 6.59. Then there was the bike: The bike course 3 x around the lake is great, and with so many people on the course there’s always a person to aim for, and you’re continually shouting ‘on your right’ ‘coming through the middle’ , avoiding geese! etc. Maria took the bike on with determination and flew round in 24.20, followed by another equally speedy performance from Kelly in 24.10 who definitely enjoyed this year’s bike far more than last year as there was no freak hail storm! , Naomi was pleased with her bike leg in 23.38, followed again by speedy Claire (it must be those electronic shifters! ) in 22.55. I first met Claire Hann after she won the 2012 Bristol Harbouside Triathlon. As part of her prize for winning the Olympic distance race overall Claire was presented with a Level 2 Precision bike fitting at Bike Science Bristol. As a bike fitter, my first impression was respect for Claire having managed to win the event and put in a respectable bike split (of 1hr:13min:09sec)on her current bike with her current riding position. Once Claire told me more about herself and the kind of swim and run times she was capable of, it was pretty obvious that although she was already winning events, there was a huge amount of untapped potential in her biking. Relatively new to the sport of triathlon and to cycling, the bike leg of the triathlon was clearly her weakest link. On the day of her first bike fit, I invited Claire to become a member of our Bike Science – Boardman Elite team with a view to taking a big chunk of time off her 2013 bike splits. Roll forward 12 months. After a period of riding tri bars (added to specific bike training courtesy of award winning coach Andy Bullock at Endurance Sports Coaching) on her road bike with a corresponding change in position, Claire moved onto a dedicated time trial bike for the first time. Her 2013 results speak for themselves! Claire raced the second half of the 2012 season on a Cannondale road bike with clip on Profile T1+ tri bars. 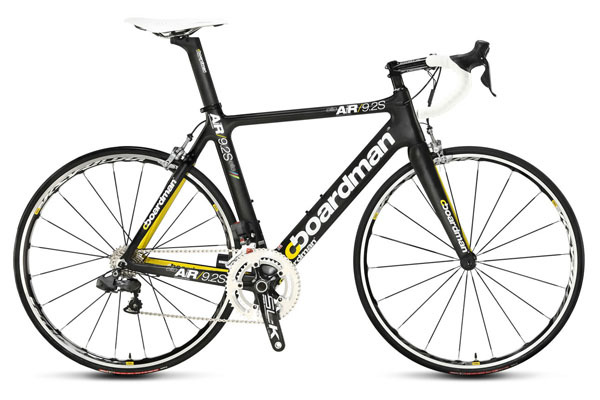 2013 Equipment list:- Boardman Air TT, Ultegra Di2 Custom Build, Reynolds Assault Wheels, Vittoria Open Corsa CX Tyres, Profile Aeria Aerobars, Lazer Tardiz aero helmet. Bike Science will be out in force at the forthcoming Triathlon Show 2013 – Friday 1st to Sunday 3rd of March. With this years event promising to be bigger and better than ever before, we’re ready to roll with a full range of bikes from both Boardman Elite and Kuota. Order any bike at the show and you’ll receive our Level 2 Retul precision bike fit FOR FREE when you collect your bike. The fitting can take place at any of our fitting studios throughout the UK. MEET CHRIS BOARDMAN – British Cycling Legend Chris Boardman will be appearing on the Bike Science stand on Saturday 2nd March – 3pm. 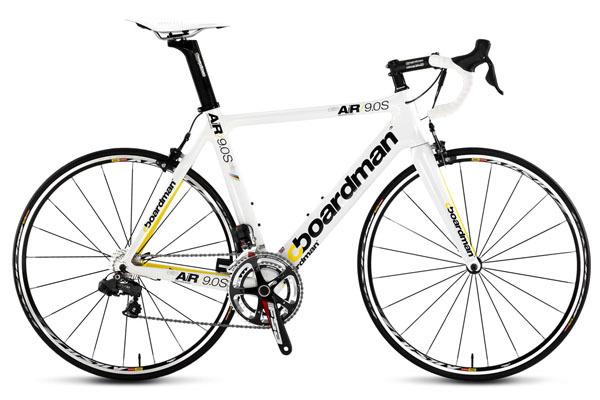 Meet Chris, and ask him anything you want to know about the Boardman Elite range! We’re offering FREE bike sizing sessions at the show by appointment. To book, simply use the calendar on THIS PAGE. We’ll also have some great offers on Cobb and ISM saddles, helmets, clothing, bike fits and more so come and see us on STAND A44. Try any saddle on our fitting jig BEFORE YOU BUY! This weekend sees the opportunity to see the entire range of Boardman Elite bikes at the Bike Science North East studio. See the bikes, take one for a test ride, learn more about our precision Retul bike fit process, plus prizes on offer all weekend. Head fitter Andy Sedgwick will be on hand all weekend to size you accurately for a new bike, advise on fitting an bio-mechanics plus explain the range of services offered. 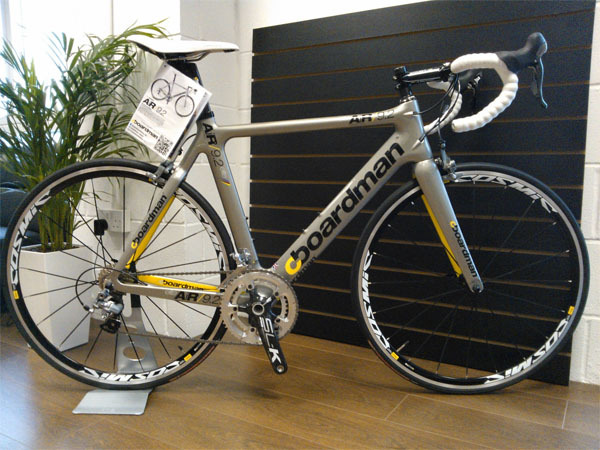 Jamie Mitchell of Boardman Bikes will be there all weekend to talk tech and take you through Boardmans Olympic and World Championship winning range of machines. Parking available at the venue plus refreshments and prizes all weekend. 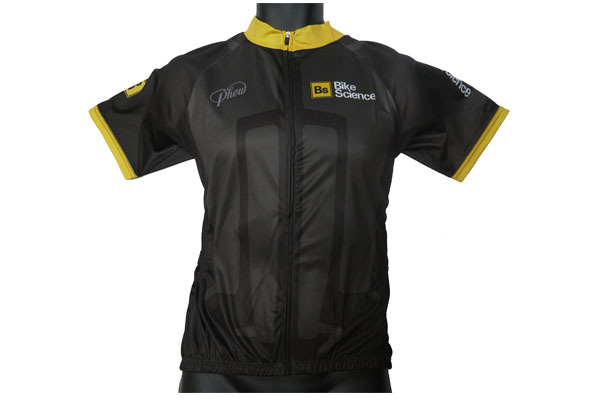 Available NOW from your local Bike Science dealer. 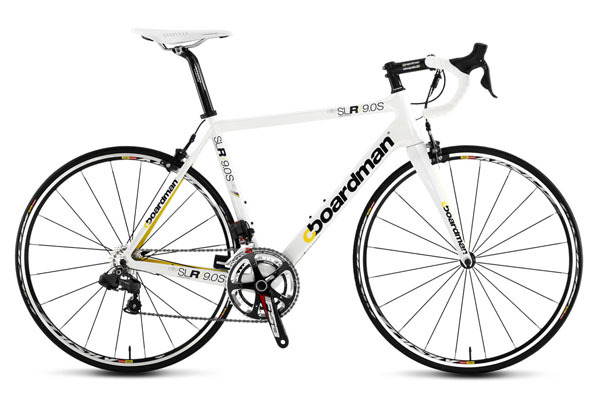 The all new Shimano Ultegra Di2 road bike range from Boardman Elite. For the first time, experience ultra fast electronic shifting from Shimano married to Boardman Elite’s renowned ultralight SLR Road and Olympic winning aerodynamic AiR Road frames. 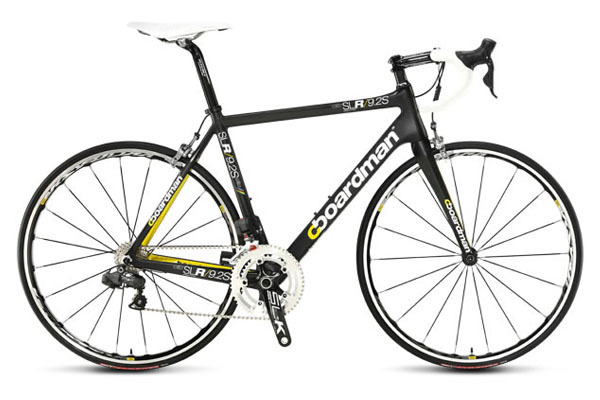 With complete all carbon road bikes and superb specification finishing kits the new Di2 range offers the sort of high performance, great value package that we’ve come to expect from Boardman. Each bike comes with a FREE bike sizing session and FREE Level 1 bike fit or 1/2 price Level 2 Precision Retul bike fit to ensure the best possible fit and performance. What are you waiting for? 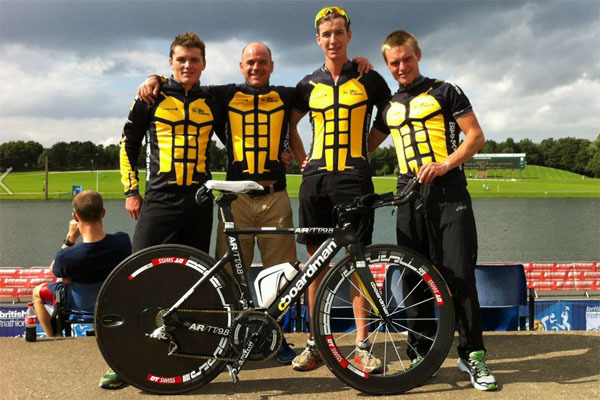 Bike Science Boardman Elite :: National Triathlon Relay Champions! Team Bike Science – Boardman Elite hit the UK’s most iconic race – The National Triathlon Relay champs at Holme Pierrepont yesterday and claimed our first ever national title. The team of David Bishop, Tom Bishop, Mark White and Ed Charlton-Weedy put in stellar performances throughout the day in the 500m swim, 15km bike and 5km run event to hold off former champs Total Fitness Nottingham and a strong team from Red Venom Compression. Thanks to race organisers One Step Beyond for once again organising one of the best events in the UK. See you there again next year! Congratulations to all the team and special thanks to Dan Phillips for organising the team in the run up to the event. 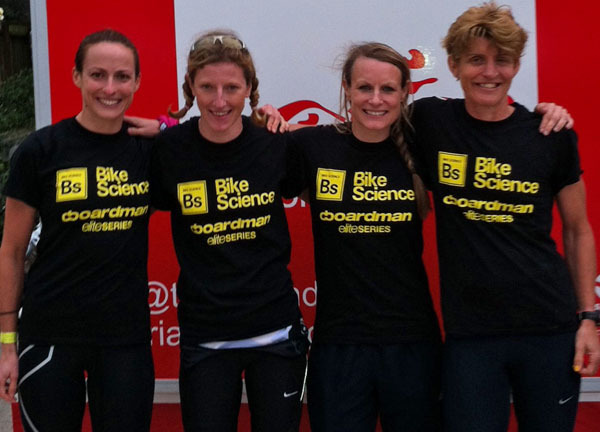 Bike Science – Boardman Elite National Champions!